local scholarship How to gain DBBL SSC Scholarship 2018? 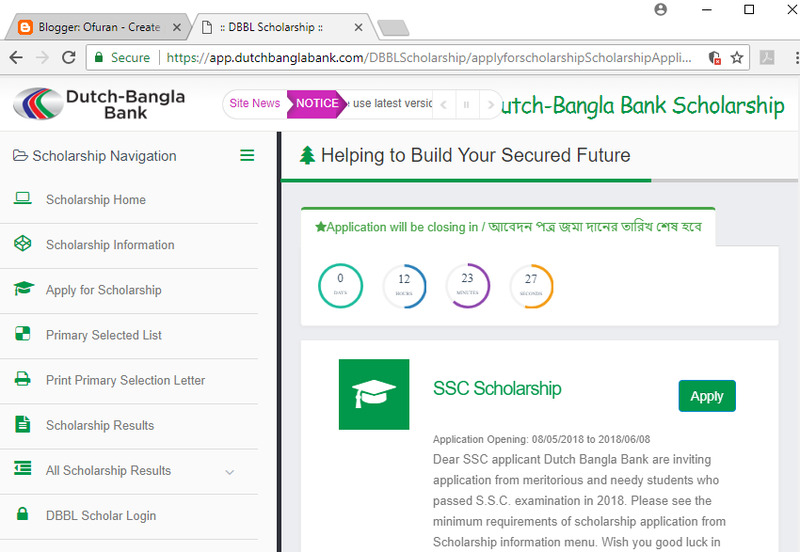 How to gain DBBL SSC Scholarship 2018? In this year the students who has got Golden GPA 5.00 from City area, district level schools or minimum 4.83 (without 4th Subject) from village area schools can apply for DBBL scholarship. The last date for applying DBBL SSC 2018 scholarship is 8 June, 2018. As high result is required for applying, so we think that many students can not apply for the scholarship. The students who are qualified for the scholarship, congratulation them. Family verification is a part of DBBL scholarship, but now a days you have to bring your real parents to your nearest DBBL Bank branch for VIVA with you and try to qualify final for the scholarship. You will get date after selecting as primary. The primary selection result will give after about one month. Best of luck for your DBBL SSC 2018 scholarship.